Your smile is one way to let the world know how excited you feel about life. Your smile is also a sign of how healthy and vibrant you feel. However, if your teeth appear stained as a result of coffee, tea, wine, or tobacco use, you likely don’t smile as much as you want to. 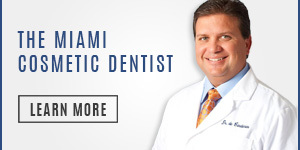 Miami’s Dr. Andres de Cardenas and his team of caring, concerned professionals want you to know that when you walk into their dental office, your value is as a person, not simply a patient. For this reason, we design our in-office whitening system to provide you with fast, remarkable results and a whiter smile. Every patient responds differently to whitening products and procedures. Where one patient responds well to a whitening toothpaste, other people with serious discoloration could require more severe treatments like veneers or bonding. During an initial consultation, Dr. Andres de Cardenas can determine the optimal treatment most suitable optimal shades of white. Teeth whitening, as the name suggests, is a set of procedures used to lighten or brighten discolored teeth. There is a plentiful amount of safe, effective whitening options for individuals needing help to correct their discolored teeth. Individuals consume stain causing products regularly. As a result, teeth discoloration is common, leading many patients to seek our professional grade tooth whitening procedures. Yellow toned teeth represent the best candidates for Dr. de Cardenas’ procedure on teeth whitening near Country Walk. Our procedure is advantageous to patients seeking white teeth over home whitening products for multiple reasons. A home whitening gel or whitening toothpaste is an adequate solution for subtle results. However, home whitening and “quick coloration” techniques like Maui whitening do not provide ideal solutions for those in need of drastic improvement. This method provides a safer, more effective way of whitening teeth over traditional bleaching treatments. 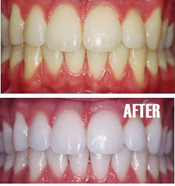 Bleaching changes the natural tooth color by lightening stains. However, teeth bleaching utilizes potentially harmful and abrasive chemicals to facilitate the transformation. Furthermore, after a year of normal eating and drinking, the teeth become discolored again by developing new stains. As a result, an additional bleaching procedure is required. Non-bleaching procedures accomplish better results without the use of harsh chemicals. This is accomplished through mild abrasion and physical reaction to remove surface staining. Whitening toothpaste provides additional stain removal through special polishing agents. Our professional cleaning uses this abrasiveness to polish and removes the majority of external staining caused by food or tobacco. In general, Dr. de Cardenas recommends teeth whitening to those with healthy teeth and gums with no accompanying fillings. Our in-office teeth whitening employs a whitening agent in conjunction with a special light or laser. This method results in teeth appearing shades lighter. This treatment is a 20 minute to an hour procedure. Demonstrated, pronounced results can be apparent immediately. Teeth whitening treatments contain active whitening ingredients that penetrate enamel to treat discolored molecules. Oxygen molecules within the whitening agents react with the discolored molecules of the afflicted teeth. This breaks the bonds that hold the molecules together. Due to this, the molecules spread, whitening the entire tooth. 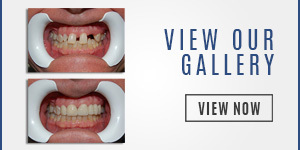 As a result, a patient is left with a brighter, white smile. Are stained teeth preventing you from telling the world how excited you are about life? Is your smile not as bright and healthy as you truly feel? Dr. Andres de Cardenas invites you to visit our dental office for a consultation. During your initial consultation, our professional dentist will ask you questions to find out more about your situation. This is a great time to feedback with Dr. Andy about any questions or concerns you possess about a procedure. 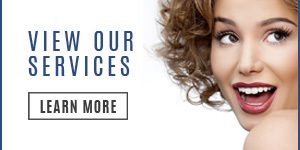 Our goal is to provide patients with a preeminent source of dental treatment in the South Florida area. Bolstered by the acquired information during an initial consultation, we can provide you with an optimal solution for teeth whitening, or whatever else your dental needs could be. You can contact Dr. de Cardenas using our convenient email form and we’ll get right back to you, or simply call us at (305) 251.3334. When you speak with Dr. de Cardenas about our procedures for teeth whitening near Country Walk, you can experience the difference between being treated as a dental patient, and being treated as a part of our family.